In the late 1820s, John Phillips, William Smith's nephew, was gathering information for his pioneering book on the geology of the Yorkshire coast. The coastal strata are often well exposed and in places highly fossiliferous, something that generations of locals had realised. Like their counterparts at the other end of the country in Dorset, a network of local collectors and dealers was established as soon as money was to be made from the sale of fossils to the gentry and those interested in the study of rocks and fossils. Students of geology ranged from amateurs, who were often members of the local literary and philosophical societies that became fashionable in the latter decades of the eighteenth century and persisted into the early nineteenth century, to the occasional but growing bands of professionals, mostly but not always university men, and those who struggled to make a precarious living from surveying and map making, such as William Smith and his nephew. By 1825, fossil plants had been found in rocks of the Oolitic Period (later referred to as the Jurassic Period) at a number of localities on the Yorkshire coast north of Scarborough and Saltwick, south of Whitby. Specimens collected by locals were bought by societies such as that in York for their museums. Indeed, Adolphe Brongniart, on his way to Scotland, was shown the collection of plants in York by John Phillips. And in 1826 Roderick Murchison arrived to view them and the coastal sections from which they originated, in preparation for a trip to Sutherland in Scotland. There, on the northern shore of the Moray Firth in the village of Brora, was a coal mine. John Phillips, 1800-74, was orphaned and adopted by his uncle William Smith, whom he assisted in the compilation of his county maps. Phillips became keeper of the York Museum and subsequently professor of geology in London, Dublin and Oxford. He was president of the Geological Society of London (1862) and coined the name Mesozoic in 1840. Coal at Brora had been exploited from surface exposures since 1529 and the first pit was dug in 1598. New mines had been opened in 1810 and Murchison wanted to see if the Brora coal strata were the same age as those of the Yorkshire oolites. Coal was mined sporadically from a number of small pits in Yorkshire strata of Jurassic age since 1648. Birdforth Colliery was the largest mine with a shaft 46 metres deep sunk in 1760, but even at the height of its productivity it only employed some 30 men and it closed in 1798. Murchison was always keen to try and apply geological knowledge to economic ends and subsequently made considerable efforts to deter land owners, ignorant of the geological constraints, from wasting money searching for coal in rocks that would never yield any. The 1827 discovery of fossil plants at Gristhorpe on the Yorkshire coast was to put the district firmly on the fossil collector's map. There was some dispute over who first discovered the fossil locality. Two local collectors who were cousins, William Bean and John Williamson, both claimed priority. Since then, over 300 different plant species, many new to science, have been found in the Jurassic strata of the region and 100 of these come from the strata exposed on the coast at Gristhorpe, which is now internationally recognised as the best locality in the world for fossil plants of this age. Brongniart named four new species after Williamson and Bean's contribution was subsequently acknowledged by the naming of a cycad genus after him. 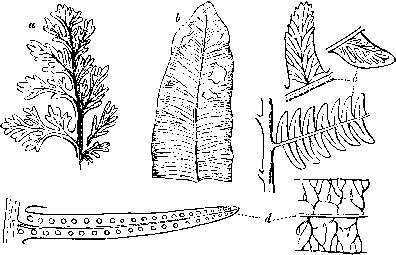 Some of the best preserved fossil plants were ferns found in the first decades of the 19th century within Lower Oolite (Jurassic) age strata exposed on the Yorkshire coast of northeast England and were studied by the French naturalist Adolphe Brongniart. John Williamson, 1784-1873, gardener employed by his cousin William Bean, also a naturalist and collector, who became curator of the Scarborough Museum from its inception in 1827. The modern interpretation of the deposit is that the plants were part of a diverse vegetation of bryophytes, clubmosses, ferns, caytonias, cycads, ginkgophytes, conifers and so on that grew around a lagoon. Bits of the plants were blown or fell into the lagoon where, over the years, they were buried and preserved in fine mud. Several fossil plants, such as the cycad Beania tree, have been reassembled from Gristhorpe fossils. 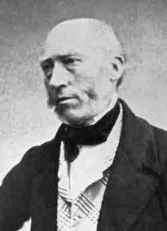 William Crawford Williamson, 1816-95, son °f John W., surgeon and professor of botany and geology at Queen's College, Manchester (from 1851), he made a particular study of Coal Measure plants and was one of the founders of the science of palaeobotany. The fossils were first brought to the attention of the wider geological community by John Phillips's 1829 book Illustrations of the Geology of Yorkshire. John Williamson's son, William Williamson, provided many of the specimens, descriptions and drawings of the plants for Phillips's book. William Williamson later became professor of botany and geology at Queen's College in Manchester (later becoming the University of Manchester) and effectively founded the academic study of fossil plants in Britain. A decade or so later, it was realised that the remarkable fossil floras that had been preserved in these Jurassic strata were the basic food supply of the dinosaur food chain, consumed by the innumerable herbivorous dinosaurs of all dimensions, from ostrich-sized bipedal forms to the biggest land-living animals of all time, the giant sauropods.